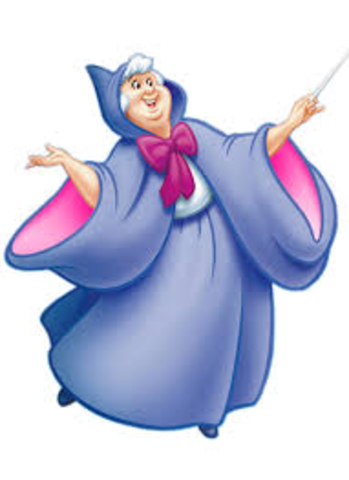 The fairy godmother showed up and changed objects into a fine coach and beautiful clothes for her to attend the prince's ball. 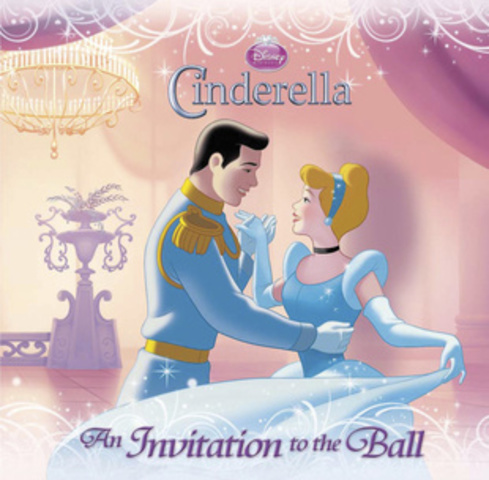 The prince and Cinderella dance together at the ball. At this moment he begins to fall in love. 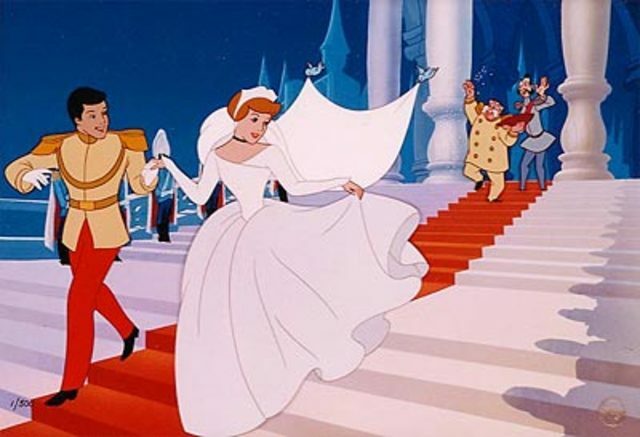 When the clock struck 12 Cinderella rushed out of the ball to get home before her family. 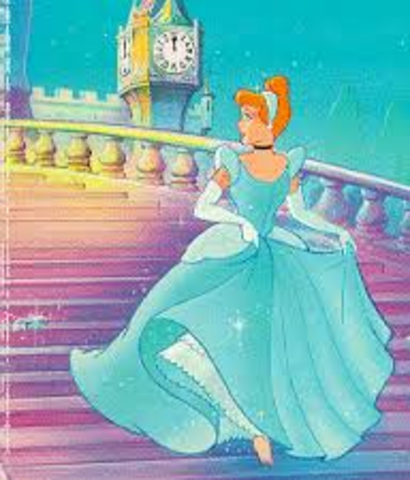 While running out she lost one of her glass slippers. 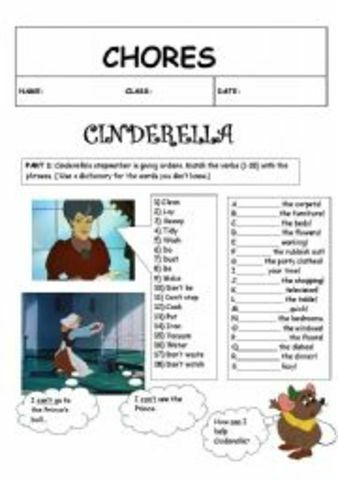 The prince goes out searching for the girl he met at the ball. 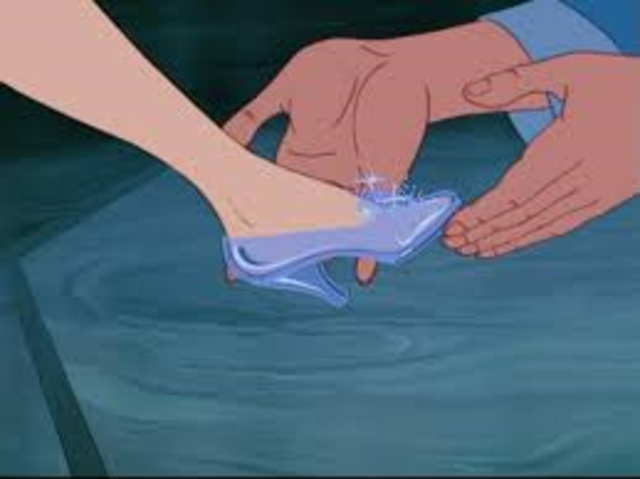 He used the glass slipper to make the match. 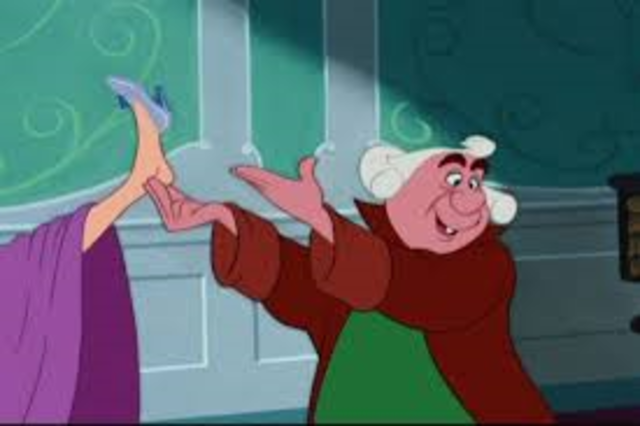 When he arrived at Cinderella's house her stepmother tried to hide Cinderella and squeeze her daughter's feet into the shoe. 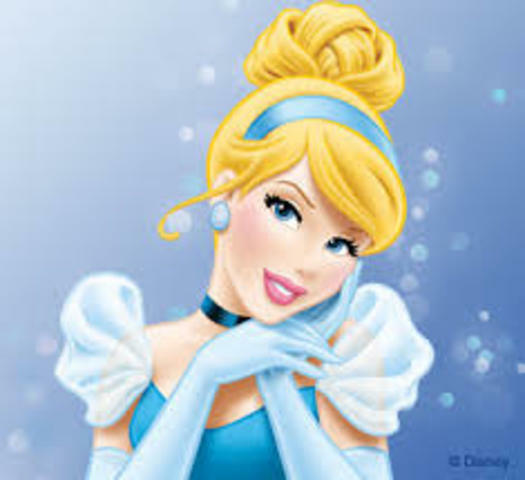 Cinderella was found and the glass slipper fit her foot. The prince knew he had found who he was looking for. 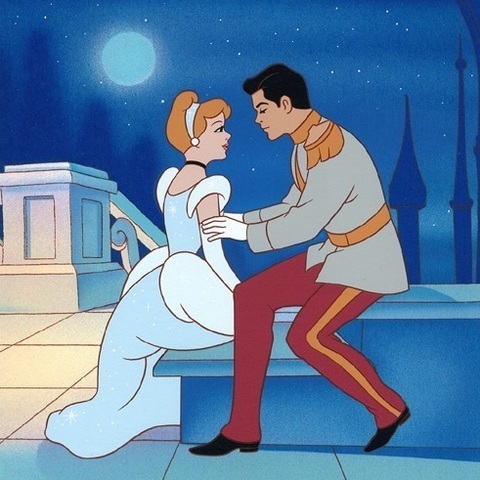 The prince and Cinderella married at the castle and lived happily ever after.